Filing A Roof Replacement Claim | Austin Roofers | Acura Roofing Inc.
Filing a Roof Replacement Claim. It can be quite stressful to discover damage to your roof, especially if it is significant damage. The process of navigating the insurance claim process can get complicated and tedious very quickly. Below are a few tips to hasten the steps to getting that insurance claim filed and your roof fixed. The first step is always to look for damage done to your roof after a storm or hail. On suspecting that your roof is damaged, either through water leaks or other symptoms, contact a reputable and researched roofing contractor to come and inspect your roof. 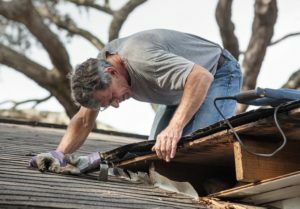 You must always keep in mind that even if your roof looks intact from the outside, there could be significant internal damage that would only be noticed by a trained roof specialist. 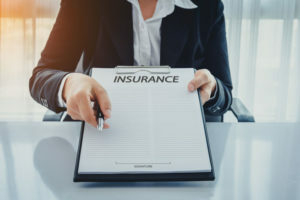 You should also note that some insurance firms have stipulations that describe the limit of time after the damage has occurred to your roof and still have the damagecovered under your insurance policy. So, after a severe storm or as soon as you suspect damagedone to your roof, have it inspected. An experienced roofer will know where to look for damage, and will most likely be thorough in detailing the amount of damage done. They will give a written description of what is to be fixedand the estimated cost of repair. In cases where you have roof damage that is not severe enough to warrant an insurance claim, and you may work with your roofing contractor on how you would fix your roof. In severe cases, however, you may need to contact your home’s insurance company involved and submit proof of damage, the events that caused the damageand the time of the event. It is a good practice to take copious pictures of your roof, especially after maintenance work has been doneand the pictureshould be labeledwith the date and time the picture was taken. It is also good practice to take photos from various angles, showing as much of the roof as possible. Thiswould help prove that the damage that occurred was causedby a specific event such a storm or heavy hail, and not any time before. In cases of extensive roof damage, be sure to contact your insurance company as soon as possible, as if you wait too long, your claim may become invalid. You should also have a copy of your homeowner’s insurance current policy handy to review and see what statute of limitations may be in place to report damage, as well as what types of roof damage are covered. For example, the age of your roof may affect the amount or fraction of replacement cost that is covered by your insurance company. If your claim is coveredunder your existing homeowner’s insurance policy, funds will be given to you to repair the damage. You may choose a contractor to repair the damage or replace the roof entirely. Finally, be careful of contingency contracts that some roofing contractors may try to get you to sign. Most contractors offer free roof inspection and estimates, you may, however, be trickedinto signing a contract stating that that company would handle the repairs or replacement Keep in mind that you do not necessarily need to sign anything, especially at the preliminary stages.